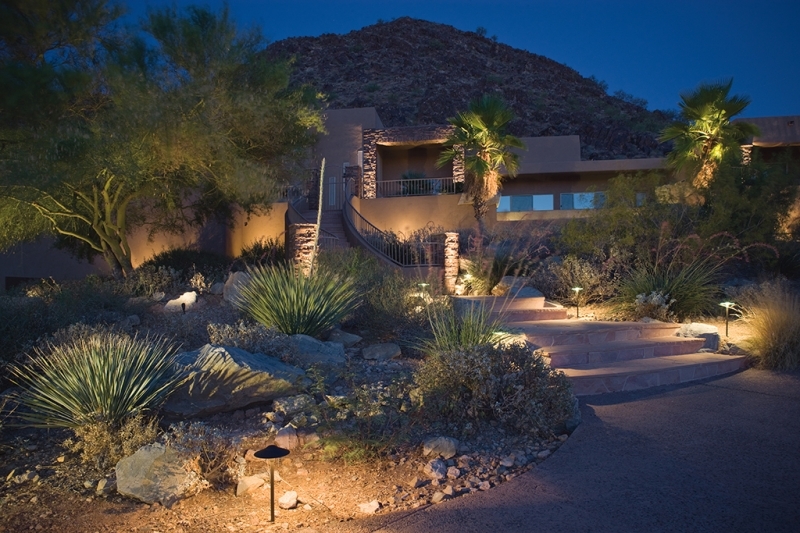 Add safety and curb appeal to your home with professionally installed security lighting from Desert Greenscapes. At Desert Greenscapes, we think every home and business in the Las Vegas area should have a beautiful exterior worthy of a spotlight. We also know that exterior lighting serves an important function as a security feature. Visibility helps prevent break-ins and other crimes, while also protecting you from accidents at night. We offer security lighting as part of our complete outdoor solutions. In addition to working with us for the perfect desert landscaping — synthetic grass, decorative pavers, irrigation, fertilization systems and more — you can call on Desert Greenscapes to design and implement a smart, reliable outdoor security lighting solution. Intruders tend to move on when they see a well-lit property. We light the way, and you can feel safe and confident. Outdoor lighting reduces the risk of burglary while also protecting you when walking the dog or taking the trash out at night. Security lights may even lower your homeowner’s insurance premium. For businesses, security lighting protects your workplace, assets, and employees. Retail, restaurants, nightclubs, and business offices all benefit from a safer environment at night. Desert Greenscapes can deliver all the security benefits above in a beautiful lighting scheme that also adds value to your property. It’s all part of enhancing the look and function of your outdoor spaces. When it comes to outdoor lighting and other exterior features, the team at Desert Greenscapes knows how to handle it. Our landscape lighting team brings expert knowledge about security lighting for homes and businesses. We can bring together security features with esthetically pleasing outdoor lighting for a solution that looks and functions beautifully. Whether you need complete desert landscaping or only a security lighting system, Desert Greenscapes has the skilled professionals to do the job right. Desert Greenscapes provides and security lighting as well as eco-friendly artificial grass and desert-friendly landscaping. 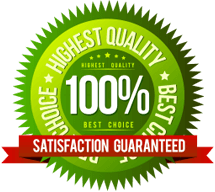 If you want to protect the important people in your life with security lighting systems in Las Vegas and the southern Nevada area, contact the friendly professionals at Desert Greenscapes today.